Stanier’s 8F 2-8-0 class were built as important upgrades for dated 0-6-0 Midland engines and at the beginning of the Second World War when railways were effectively nationalised they were the most modern class of freight engine. As a result they were chosen as the best freight design to be produced as a standard for War Department use until a cheaper type be designed (the Austerity 8F class of 1943.) As a result of this, many examples of the 852 strong class saw service overseas and were later permanently sold on to their operating countries. 45170 was built by the North British Locomtive Company in Glasgow in 1942 and was sent to Turkey the following year. Operated by the TCDD (Türkiye Cumhuriyeti Devlet Demiryolları or Turkish State Railways,) 45170 is an example of Scotland’s industrial export history and was brought back from Turkey in 2010 as a subject of Channel 5’s “Monster Moves” TV series. 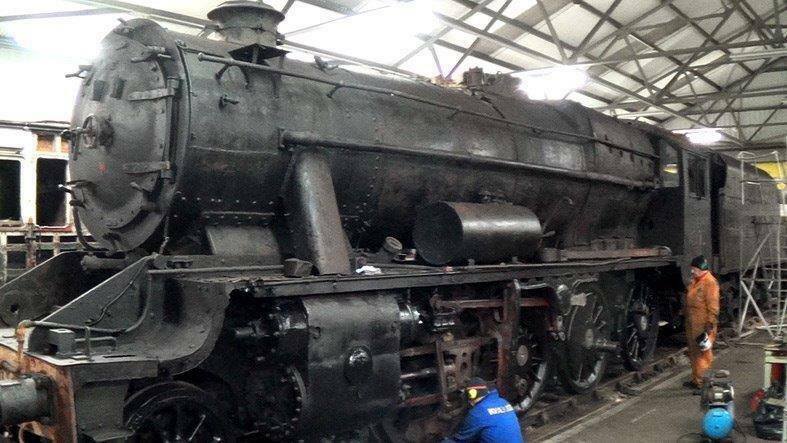 The Scottish Railway Preservation Society have launched an appeal to support them in the acquisition and overhaul of ex-TCDD ‘Churchill’ 8F number 45170. 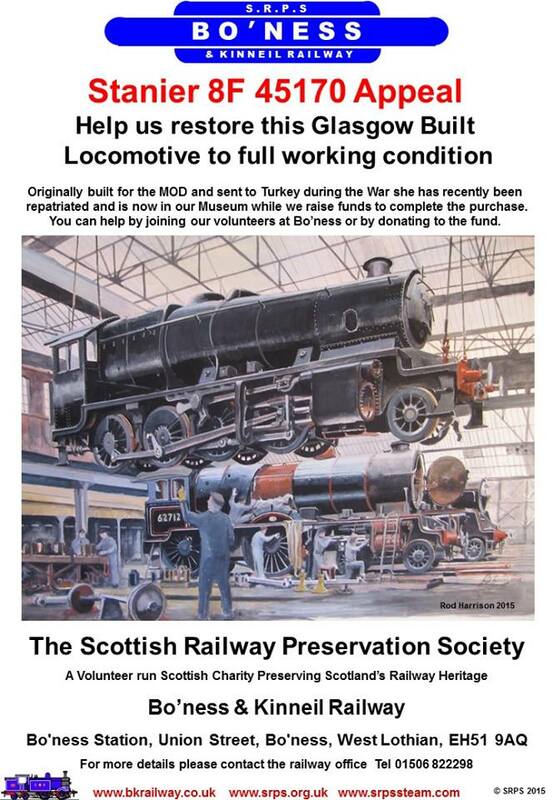 The SRPS are grateful for any donations to help them get this patriated steam engine running on the Bo’ness and Kinneil Railway. More details and information on how to donate can be found on their website www.srpssteam.com. The group also have a Facebook page (click here) where updates will be posted.